Former Swansea chairman Huw Jenkins tells Sky Sports News he would 'dread' facing fans at the Liberty Stadium towards the end of his tenure. 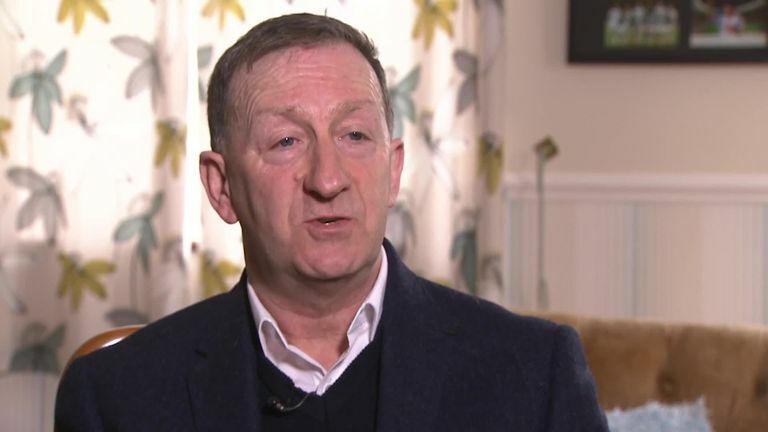 Former chairman Huw Jenkins says he remains a fan of Swansea but will not be returning to the Liberty Stadium for a long time because the decision to leave still hurts. Jenkins resigned as chairman on Saturday night, following a reign which saw Swansea rise from the bottom of the Football League in 2003 to the Premier League eight years later. Sky Sports News understands friction between Jenkins and the club's American owners - particularly over the issue of recruitment - was at the heart of his decision to resign after 17 years at the club. Speaking to SSN, he said: "As much as I could put on a [brave] face and turn up every week, it's not something I enjoyed. "I used to dread every minute of that. I felt I had a responsibility to help the club through a difficult period and that's what I tried to do. "I will always be a supporter. You probably won't see me at the Liberty Stadium for a long time because this decision and what's gone on hurts me quite a bit and I've got to live with that. "We all move on to other things eventually and I hope the club moves forward quickly, as I am sure it will." Jenkins also claims that as Swansea chairman he was made a scapegoat for problems that occurred at the Championship club. He added: "As chairman you do get made a scapegoat - somebody has to take responsibility - which I hope people will think I have done by doing what I did on Saturday [stepping down], but that's football.